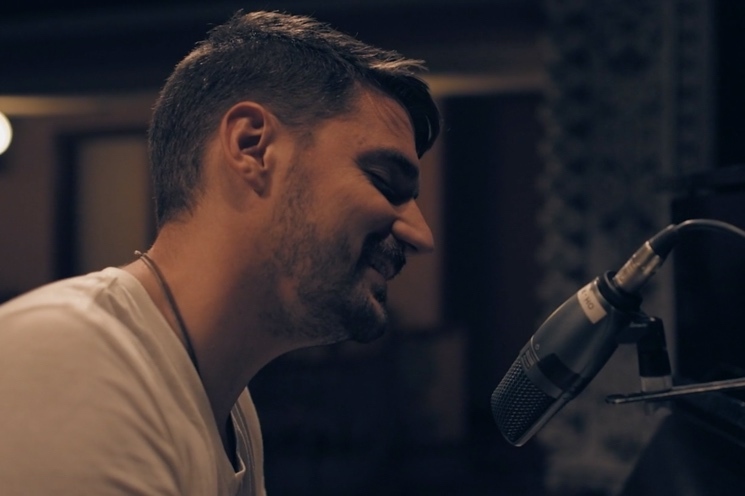 "Trish's Song" is a cut from last year's Second Sight LP, and rather than give it a traditional music video, East Coast ensemble Hey Rosetta! have rolled out an intimate performance clip. An announcement says of the tender tune, "We'd been hesitant to create a video for such an intensely personal piece, and long ago ruled out any sort of narrative ideas." Instead, they filmed it live in Villafranca del Bierzo, Spain, with frontman Tim Baker playing piano and supported by three of his bandmates on backing vocals. The results are hushed and delicately beautiful. The clip ends with the message, "For Trish and anyone who has ever been affected by breast cancer." Watch the video below. Meanwhile, Hey Rosetta! are currently touring North America with Yukon Blonde. See their schedule here. Hey Rosetta! - Trish's Song from Phil Maloney on Vimeo.